The Adopt-a-Forest (AAF) program is coordinated by the Department of Land and Natural Resources Division of Forestry and Wildlife. 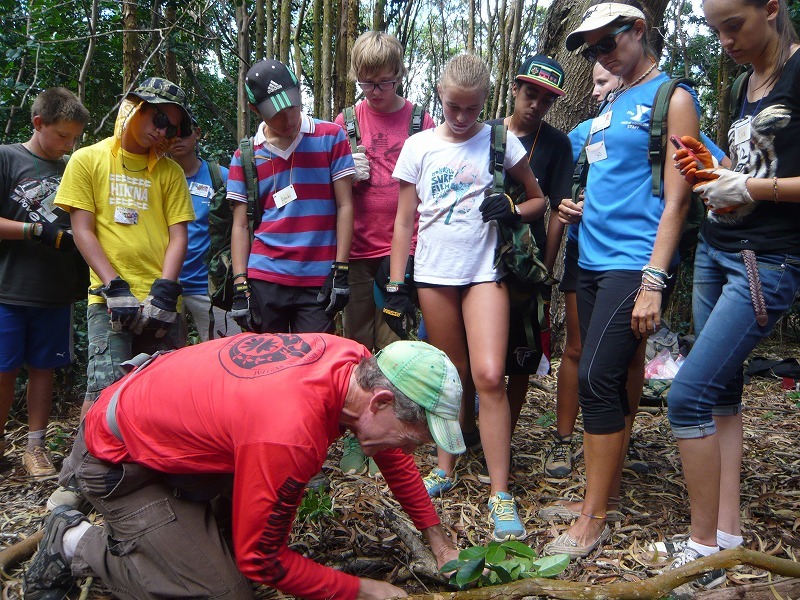 AAF partners with schools of Hawaiʻi to introduce field research and techniques in conservation to students. 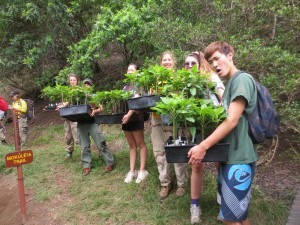 Adopt-a-Forest works within the Oʻahu Natural Area Reserves System (NARS) at several locations at a time. NARS was established to preserve in perpetuity specific land and water areas which support communities, as relatively unmodified as possible, of the natural flora and fauna, as well as geological and cultural sites of Hawai‘i. AAF works primarily in Pahole, a 685 acre area made into a reserve in 1981. 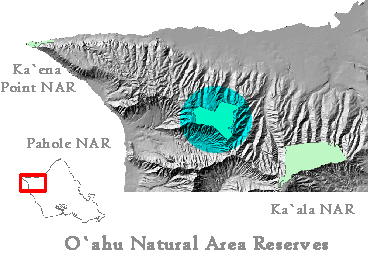 This reserve encompasses a complex valley system in the northern Wai‘anae Mountains. The area is known for its natural diversity and extends from the summit ridge down to the dry lowlands. 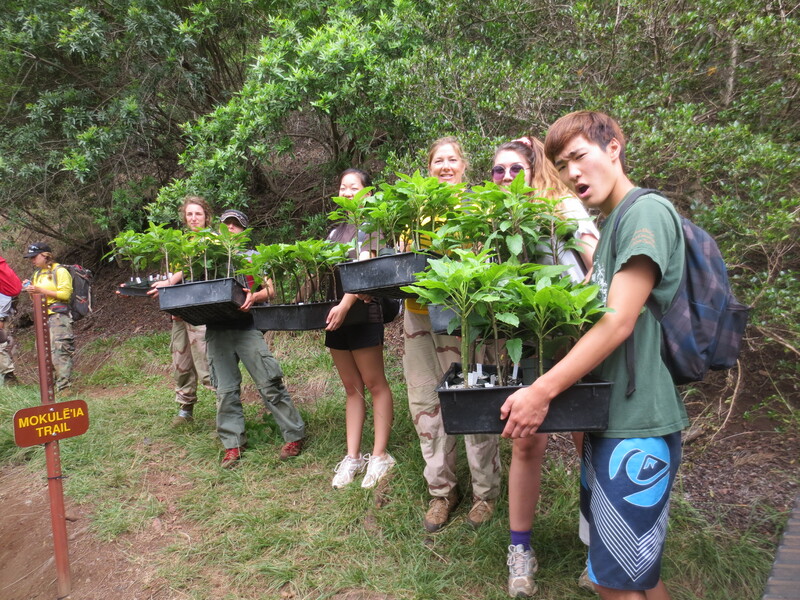 The reserve contains a rare dry forest, a rare mesic forest, endangered Hawaiian tree snails, lowland mesic forests, dry shrublands, as well as a Hawaiian intermittent stream community. It is this broad range of habitat that has made the Wai‘anae Mountains one of the biologically richest regions in Hawaiʻi. In Pahole, natural area managers are working to protect rare and native plants and animals by removing invasive species that threaten their existence. In many parts of the reserve, non-native weed control helps keep aggressive introduced plants such as Christmas berry and strawberry guava from replacing native trees. 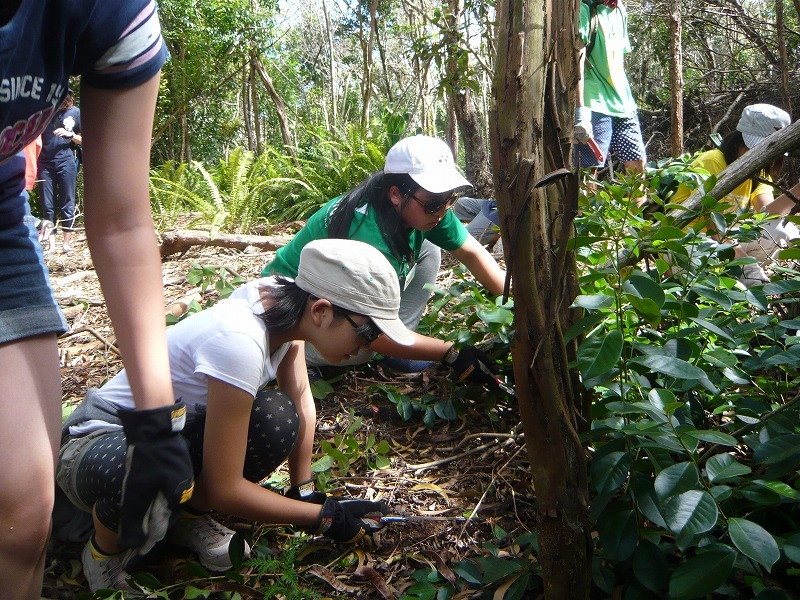 Students in the AAF program will have hands-on experience with GPS, rat and ant tracking, controlling invasive species and out planting natives.